Want to congratulate a friend on a job well done, but you can't be there in person to give them a thumbs up? 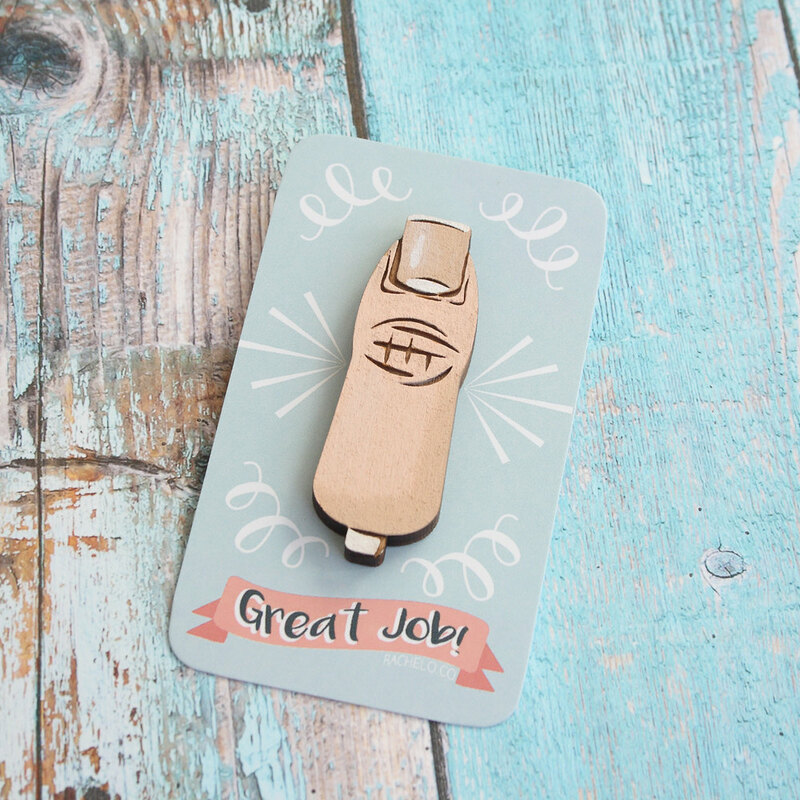 Send them a thumbs up pin! Wood pin measures 2 1/4 inches tall and comes attached to a "great job" tag- great for gift giving! Rachel O’s wood pins start out as little sketches of my crazy ideas. I digitize each drawing, then cut and etch onto wood via my laser. Then the fun begins! I paint each pin by hand. This means that every pin is just a little bit different, but equally awesome! I love how the wood grain is unique to each piece. Pins each have a one inch bar pin on the back. I don’t take custom orders, but I do take requests. If you have a pin idea, let me know! If it’s something I can draw, I might just release it as a pin. Please do not get wood pins wet. Ruler is in INCHES and is not included- it is for size reference ONLY.